Jeff Cooper is a bridal jewelry brand that is deeply rooted in New York City's first "Diamond District". Jeff Cooper’s bridal pieces are elegantly crafted and designed with beautiful simplicity in mind. Jeff's work began forty years ago when he spent his time developing his extraordinary skills. He crafted each piece by hand and developed the skills of a true artisan in doing so. Today, you can purchase Jeff Cooper's rings in a variety of beautiful materials. The brand works with gold, platinum, and diamonds to create rings with clean lines, simplistic designs, and timeless aesthetics. 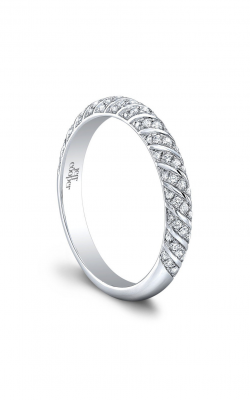 The Classic collection is a collection of simple, yet beautiful rings. This collection contains solitaire rings with simple bands, or rings with many side diamonds lining the mostly feminine pieces. Also a traditional collection, the Heirloom collection exudes a vintage aura. Rings from this selection feature complex scrollwork, filigree, and milgrain details on the ring bands. They maintain their simplistic elegance, but the added designs add an extra flair to these beautiful rings and are well worth a place on your loved one's hand. Each ring in the Tandem collection features an absolutely stunning diamond placed alone as the center stone, with many side-stones that accent the entirety of the band beautifully. The Lumiere collection is an intricately detailed collection that features rope-like designs and more complex bands than other Jeff Cooper designs, but still retains the trademark simplicity that Jeff Cooper is known for. These rings come in a variety of designs: some have just a single center-set diamond and others feature a stunning display of side-stones to accent the center-stone. 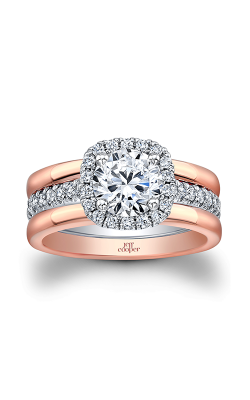 Why Shop for Jeff Cooper Bridal Jewelry at Long Jewelers? At Long Jewelers, we carry the largest selection of world-class designers in the area. This assures that our customers have a large selection of highly quality jewelry to choose from. We offer reasonable financing and free domestic shipping, as well as a variety of appraisal and repair services for our clients. Our store is located in Virginia Beach, Virginia, near Norfolk, Chesapeake, and the Tidewater area. Please feel free to contact our highly-qualified staff on our website, by calling (757)-498-1186, or by stopping by our store in Virginia Beach, Virginia.